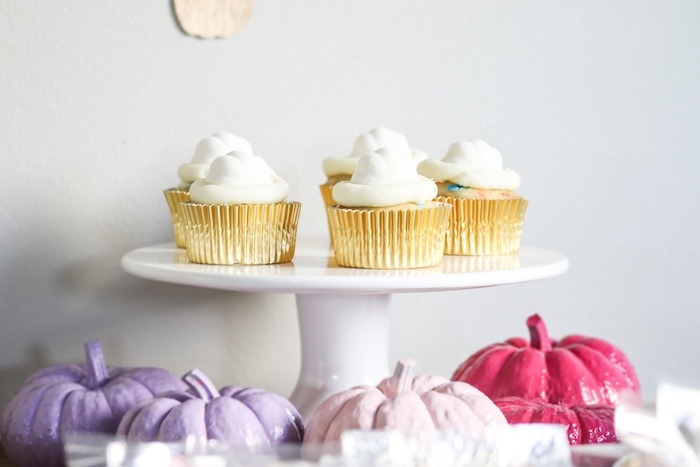 Looking for some sweet fall party ideas to carve out? 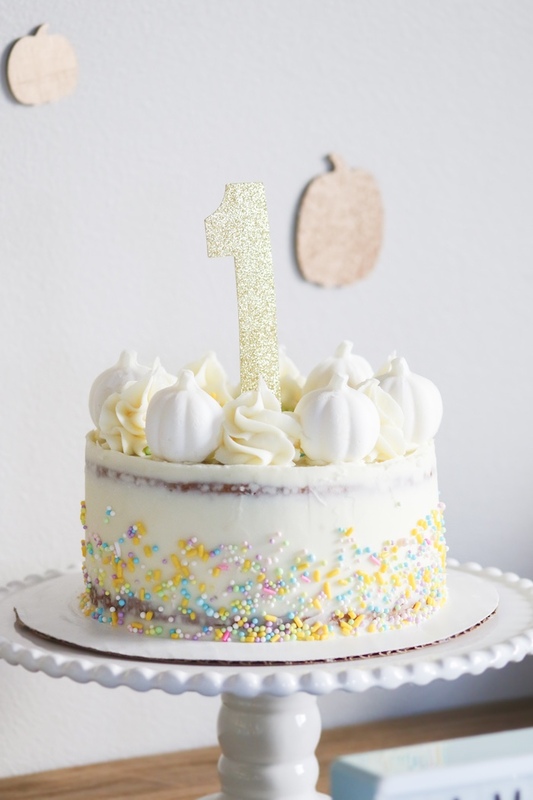 Take a look at this Little Pumpkin 1st Birthday Party by Kate Bonderman of Posh Party Bebes, out of Pasco, WA USA! 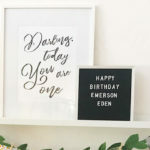 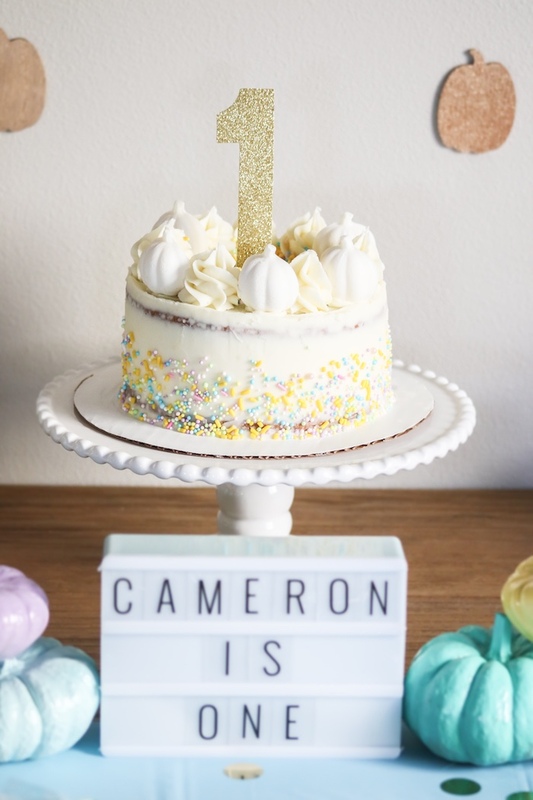 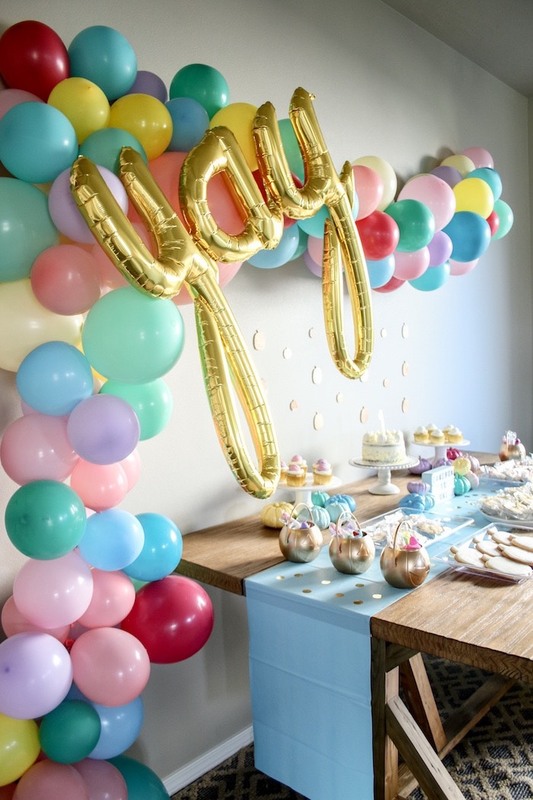 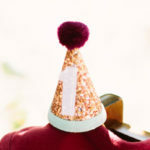 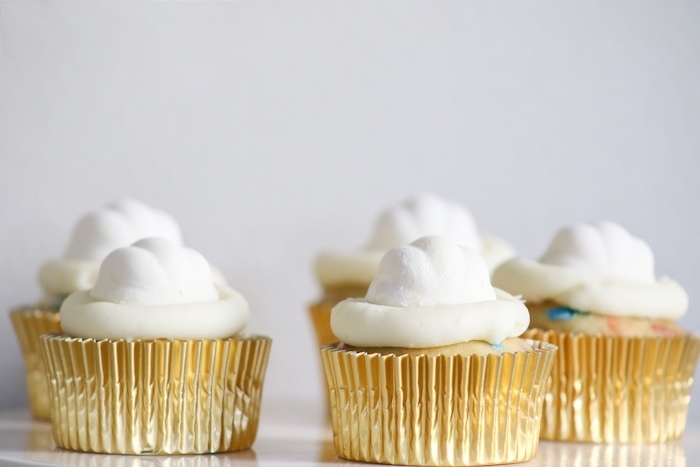 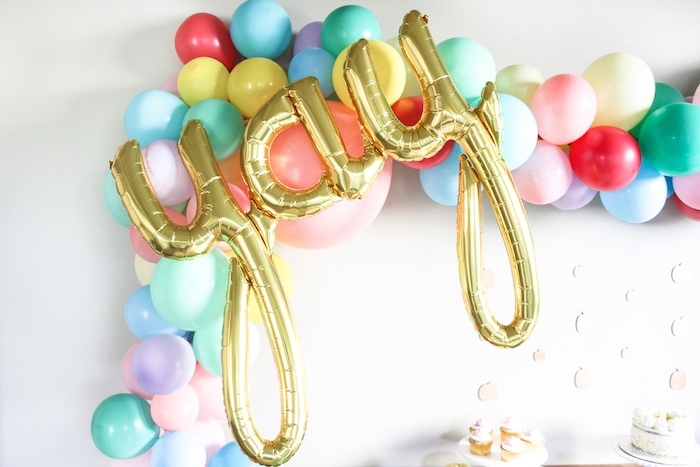 Filled with elements cute and festive, this birthday celebration is too cute not to see! 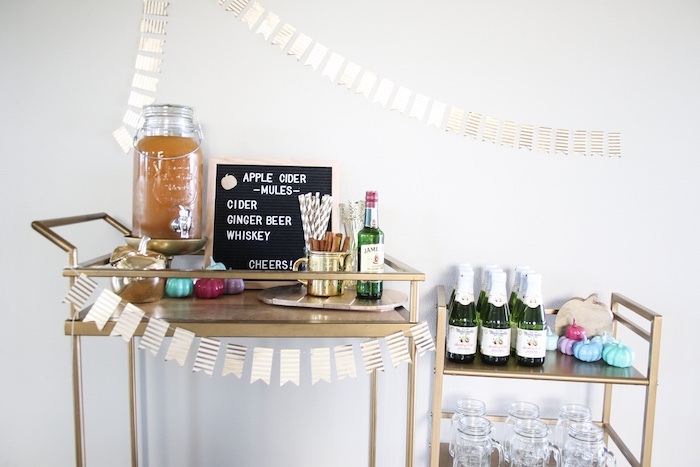 And an adorable Gold Cart Beverage Bar! 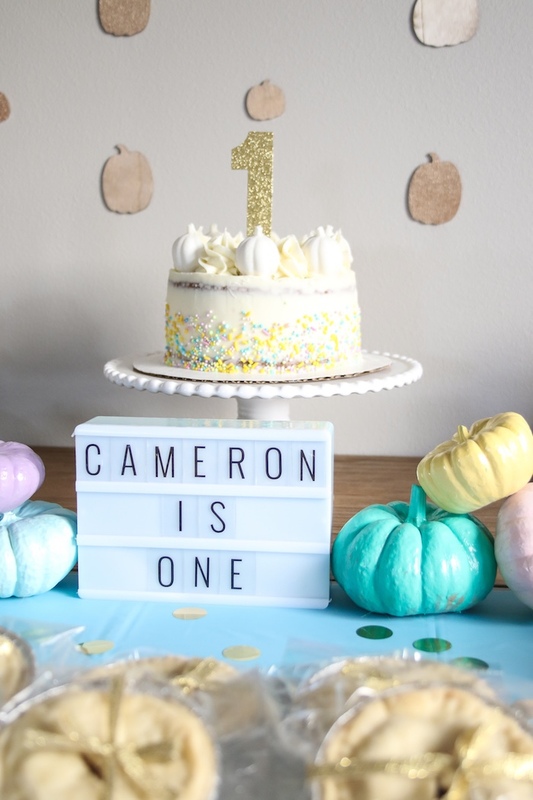 “This little pumpkin themed first birthday was the perfect theme for an October baby! 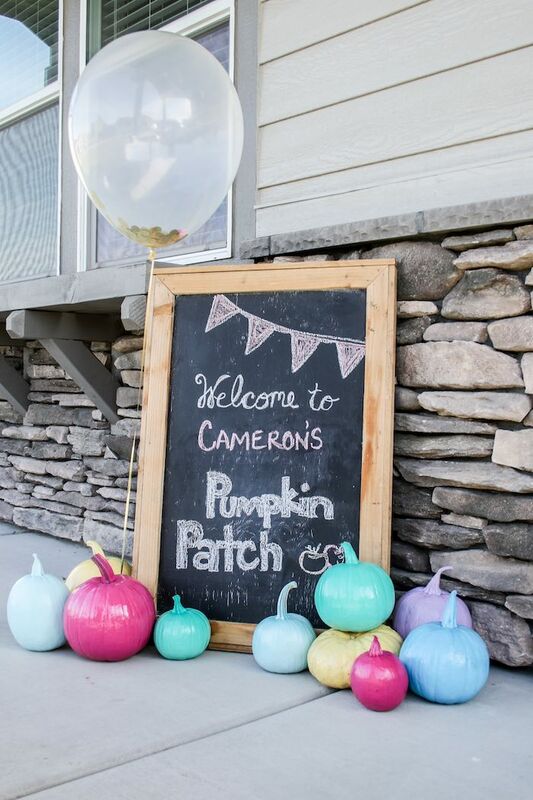 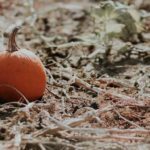 It was also the perfect party to do a little DIY decor, spray painted colorful pumpkins were the perfect pallete for a little girls pastel pumpkin party! 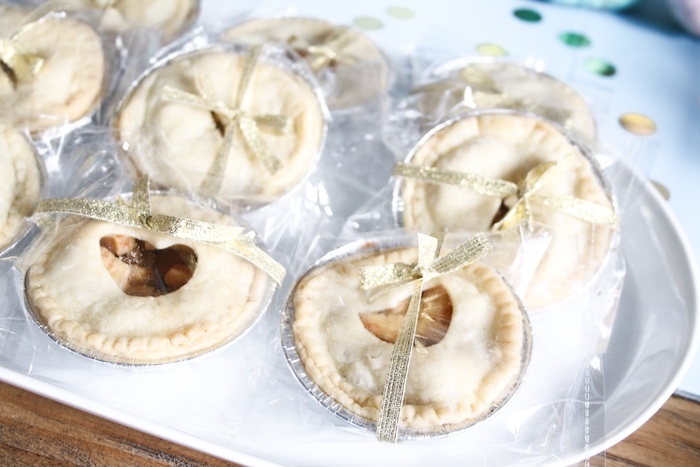 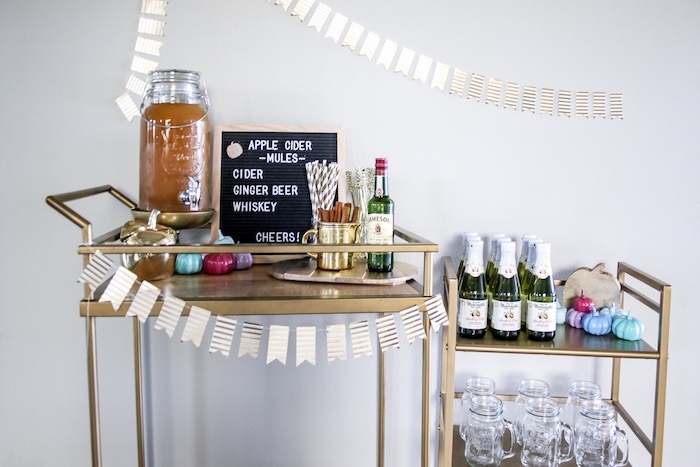 This party featured Mini apple pie favors, a cider mule bar for the adults, and a beautiful pumpkin themed smashcake! 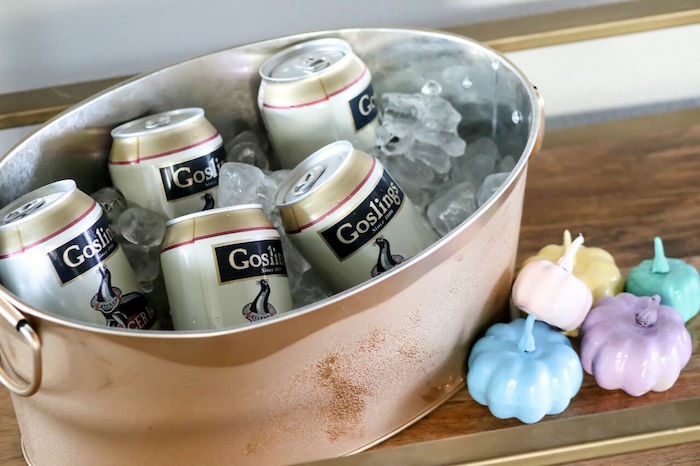 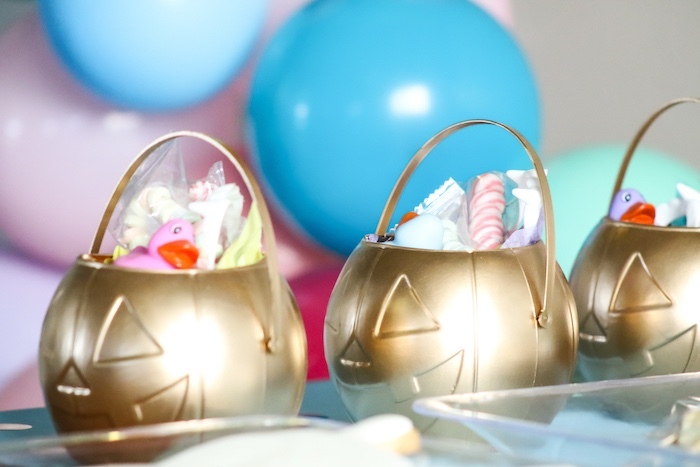 For party favors we found some 75 cent candy pails at wal mart and spray painted them metallic gold for a fabulous glammed up version of a pumpkin treat basket! 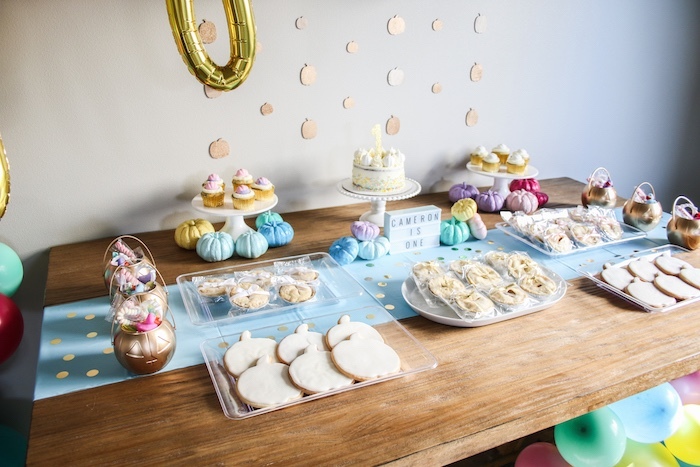 Each pumpkin had mini pastel rubber duckies, candy necklaces, vampire teeth and a lolli! 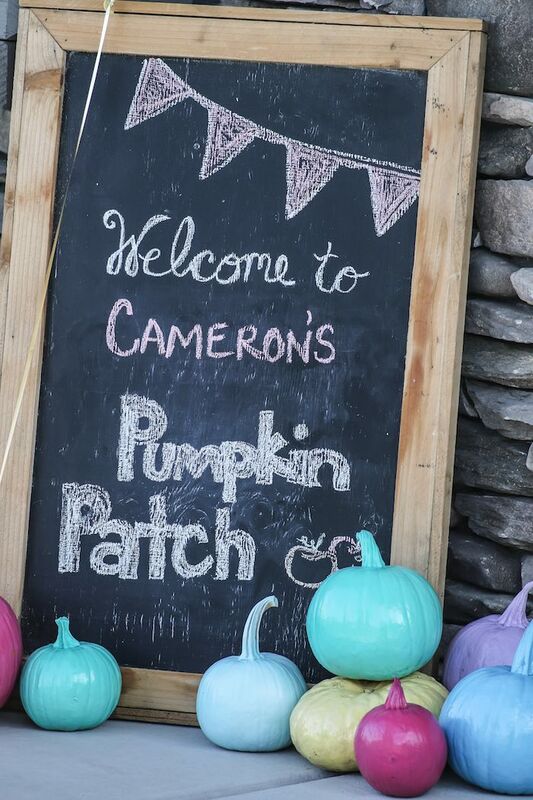 The giant chalk board welcome sign was surrounded by painted pumpkins welcoming guests as they arrived! 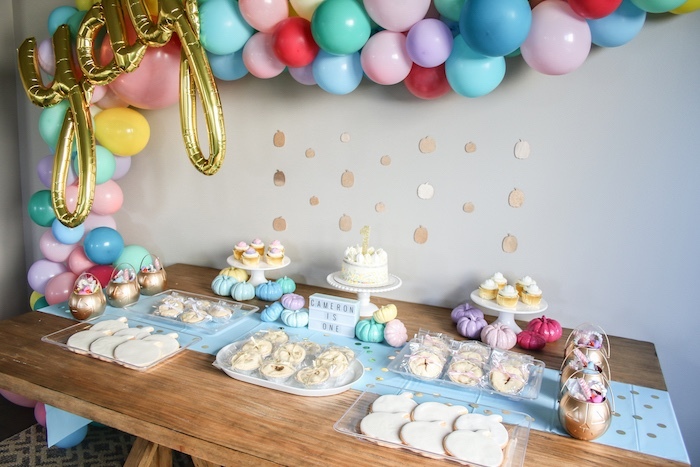 The dessert table was overflowing with pastel colored balloons, with gold accents throughout! 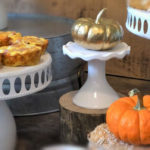 Each table decorated with mini painted pumpkins! 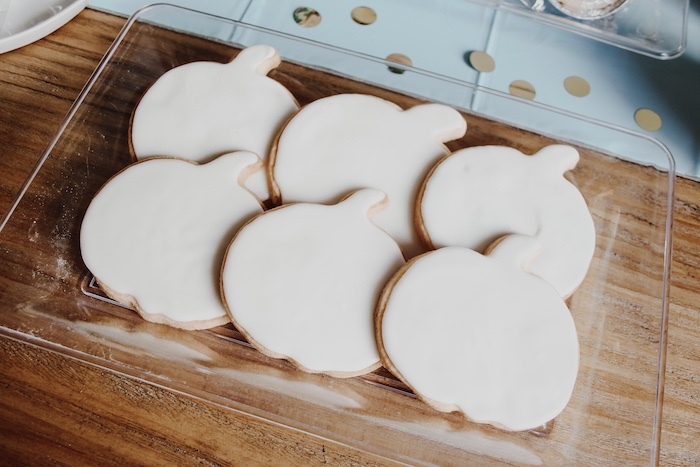 White chocolate ganache cupcakes, mini pies and giant white pumpkin sugar cookies all perfectly stylized with our little pumpkin fall theme! 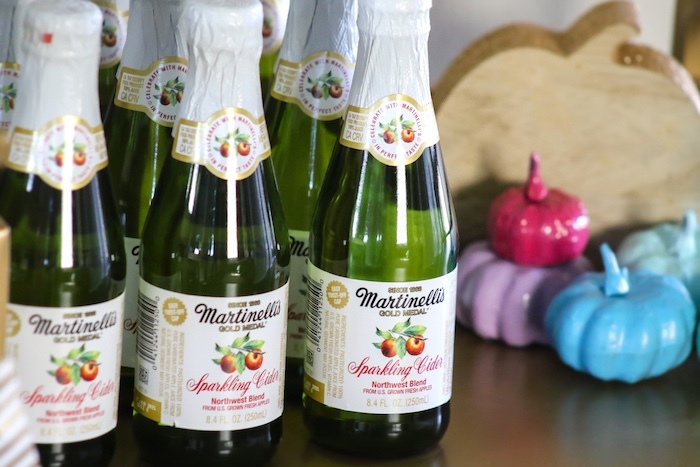 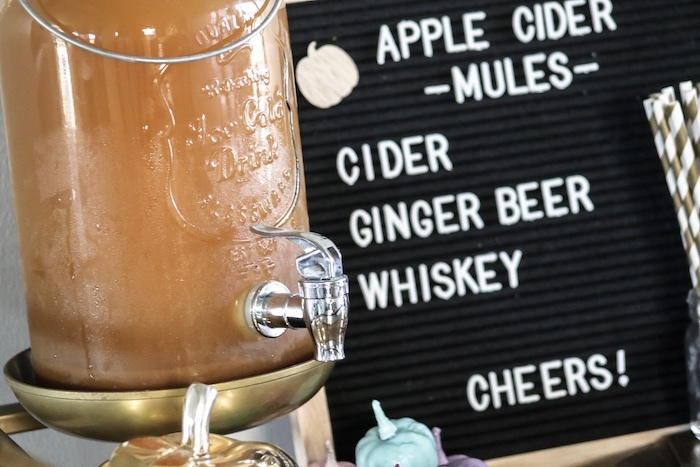 The Mule bar featured cold apple cider, whiskey, ginger beer and mini sparkling cider bottles to mix the perfect fall party drink! 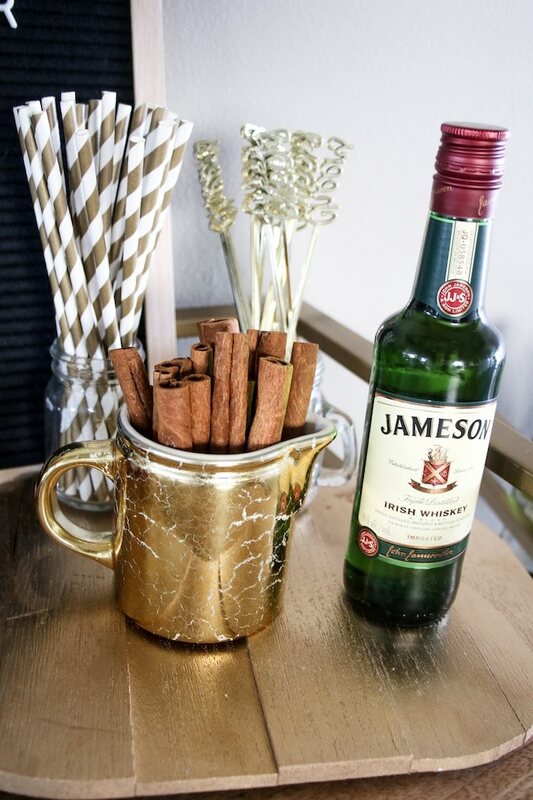 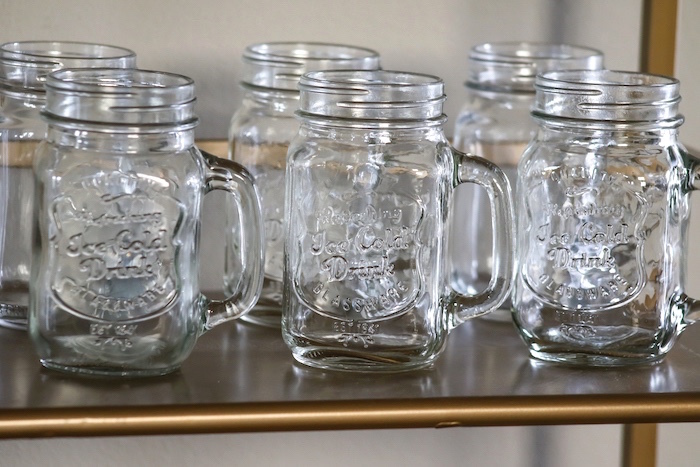 Gold drink stirrers, Mason jars and even cinnamon sticks to garnish this fabulous bar car setup! 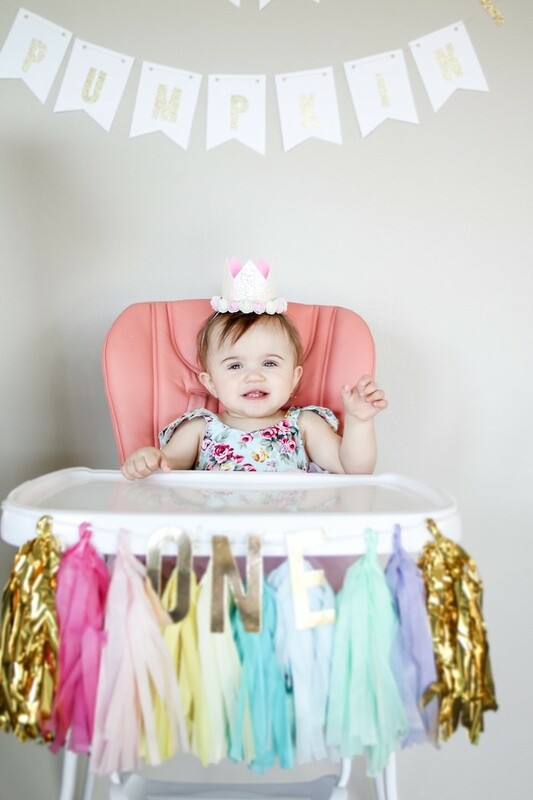 Our little pumpkin highchair setup was complete with a little pumpkin gold lettered banner, a giant gold mylar 1 balloon, and a beautiful colorful highchair banner! 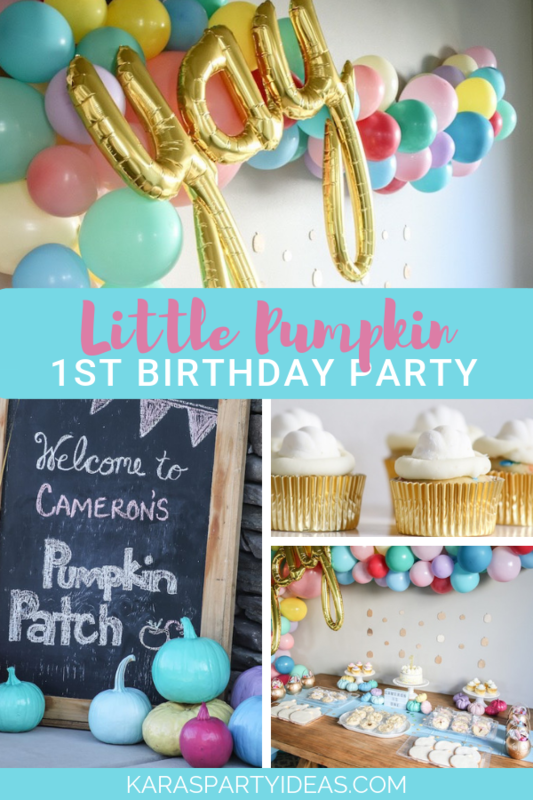 The perfect pumpkin inspired party for an October birthday girl! 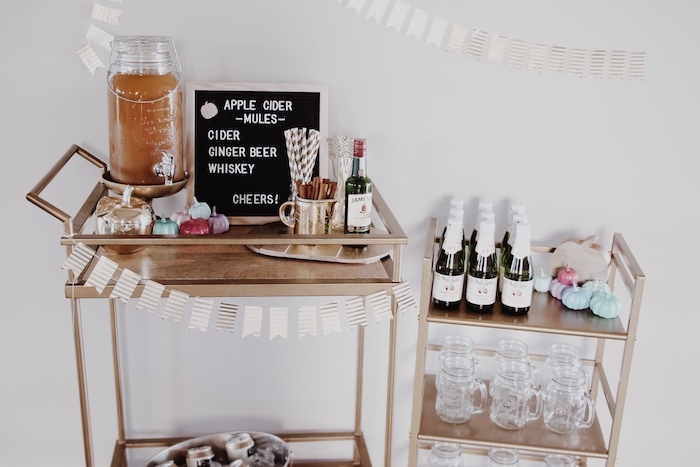 Photography- Breanna Galceran from Urbren Branding Co. 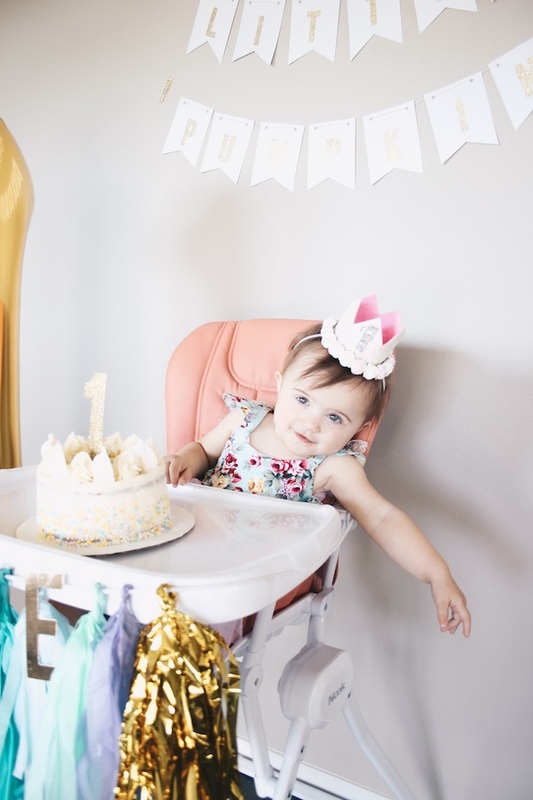 Thanks Karas. 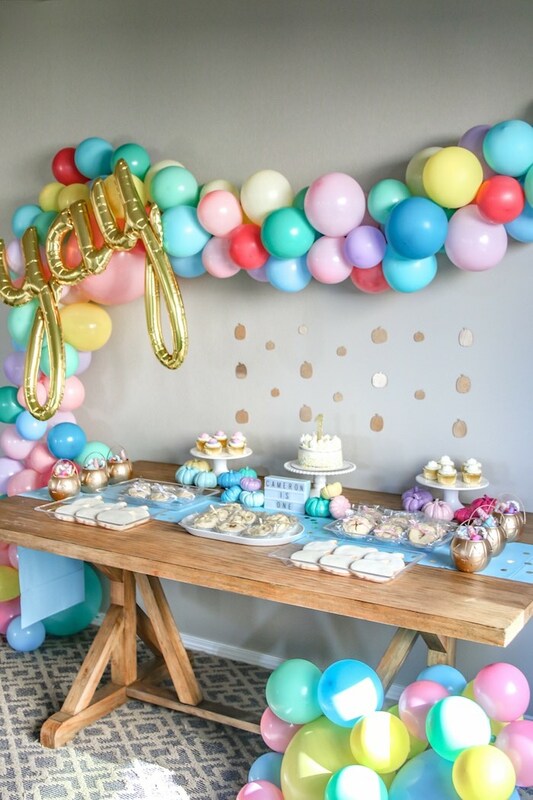 Very beatiful ideas.